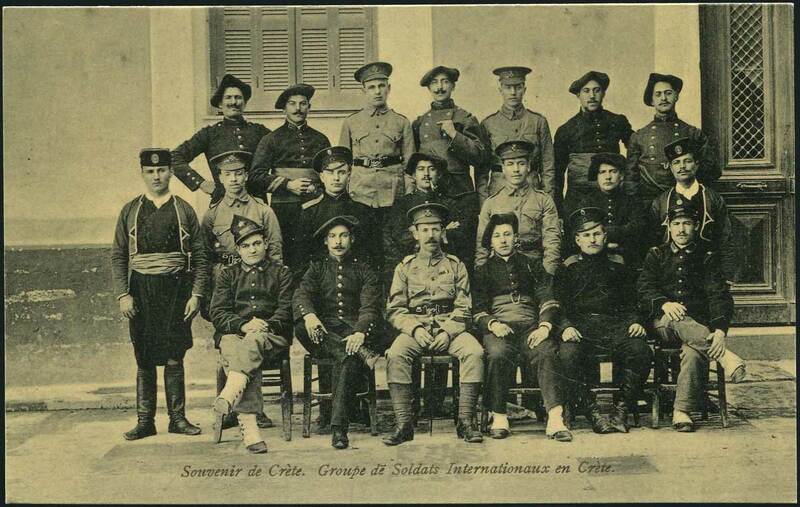 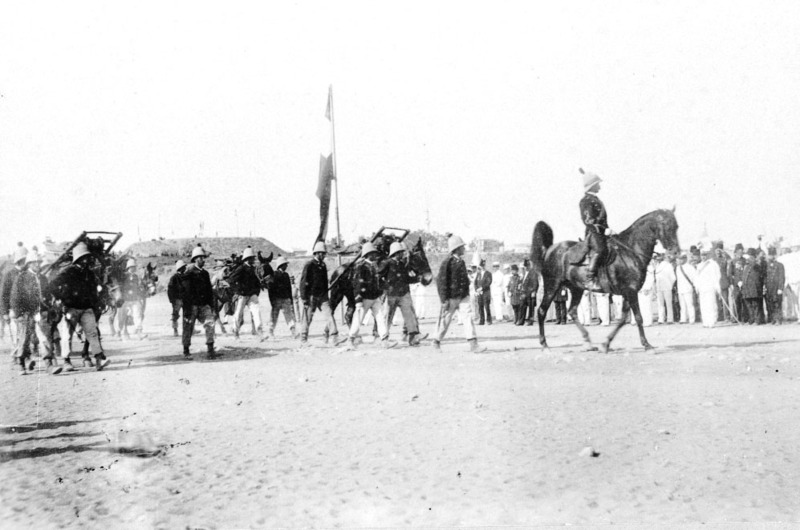 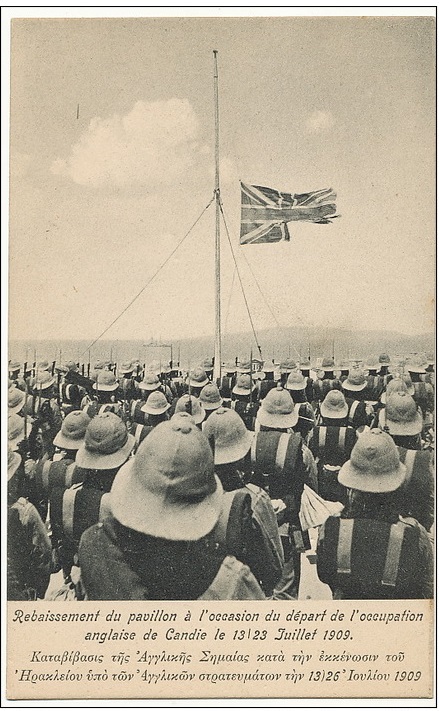 International troops | The British in Crete, 1896 to 1913. 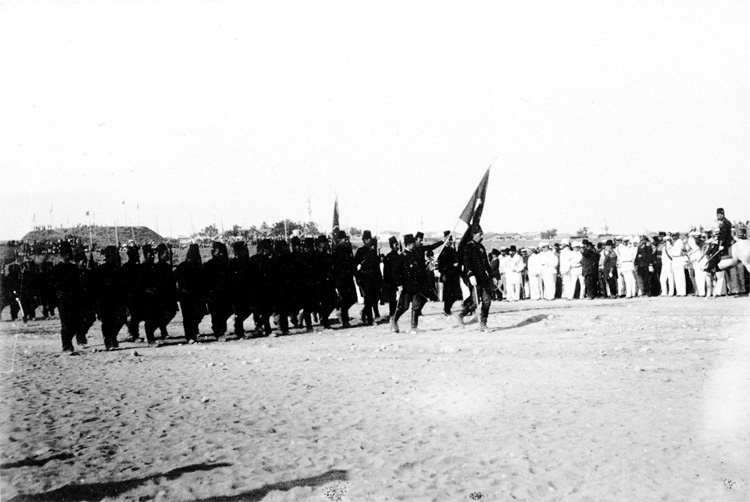 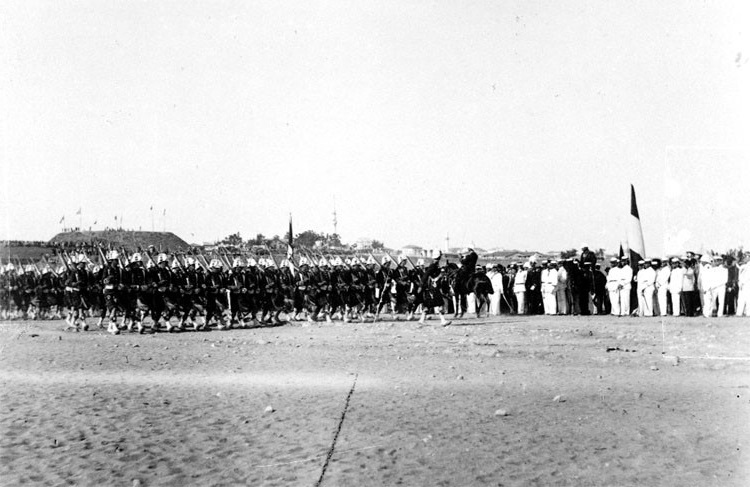 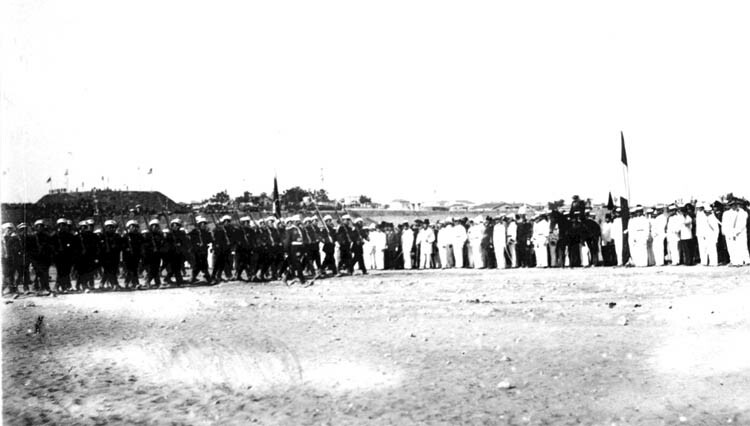 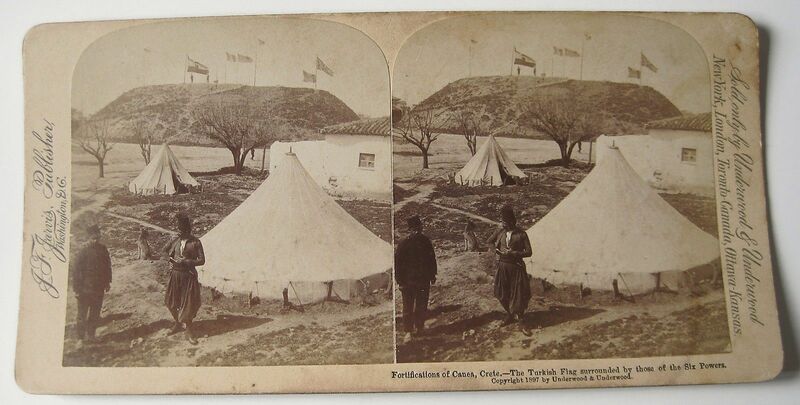 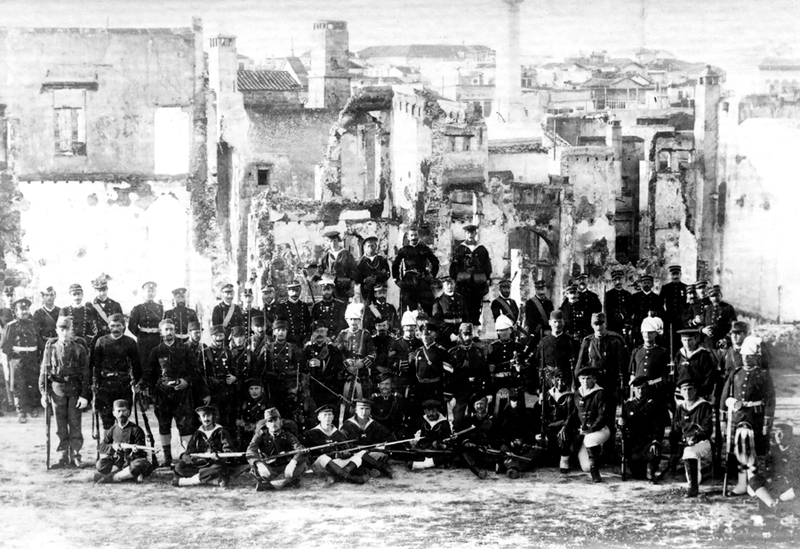 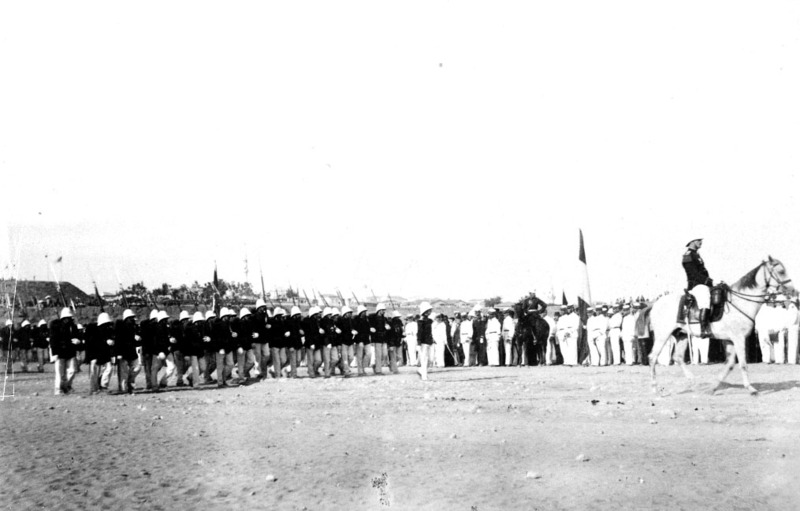 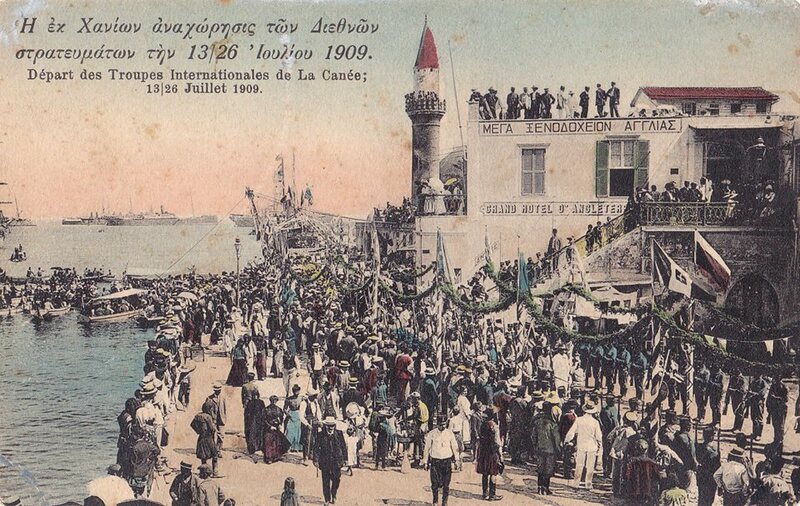 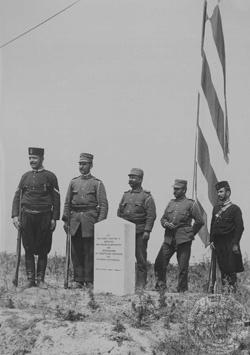 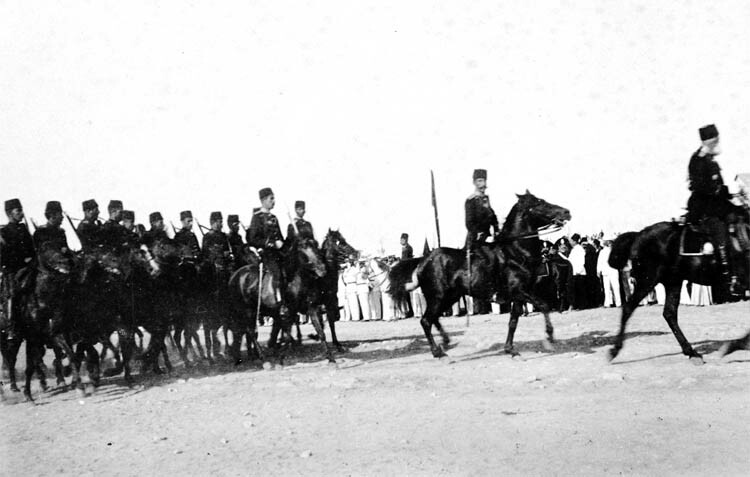 In July 1909, the last of the International troops in Crete withdrew amid scenes of much rejoicing on the part of all parties concerned… other than the Ottoman Empire and probably the remaining Cretan Muslims. 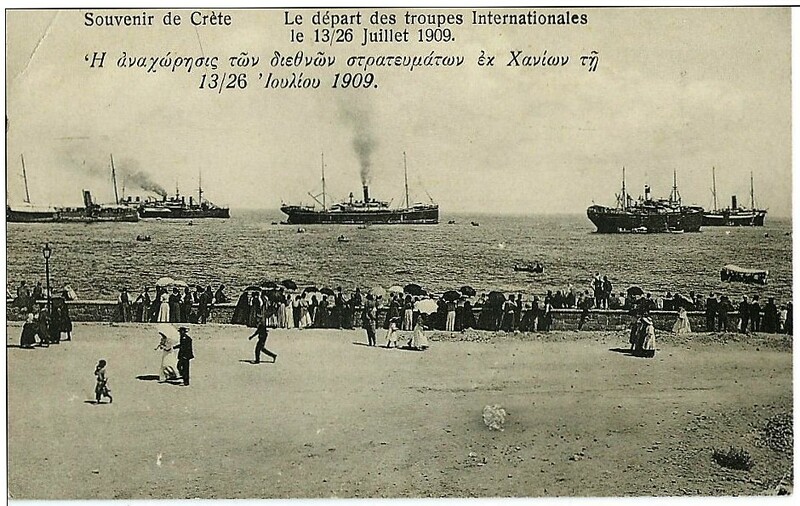 The British troops, 2/Devonshires, appear to have left Candia (Iraklion) on 24th July, stopped for a day in Suda Bay, and then finally departed the island on 26th July, en route for Malta on board S. S. Rameses, in a move timed to occur simultaneously with those of the other three Powers; France, Italy and Russia. 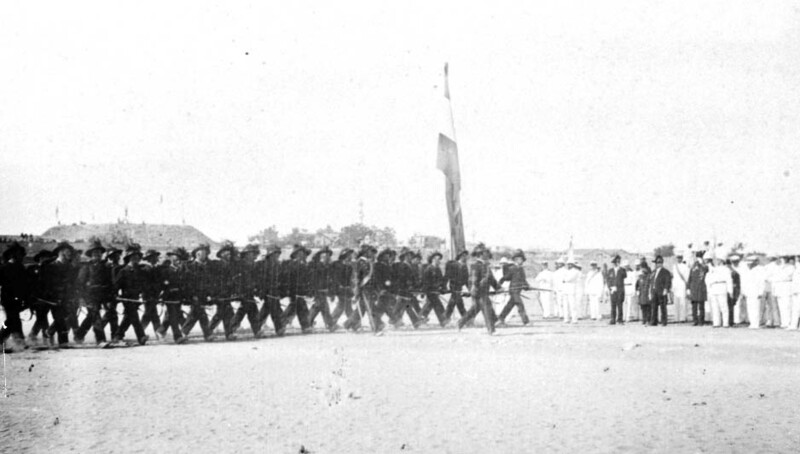 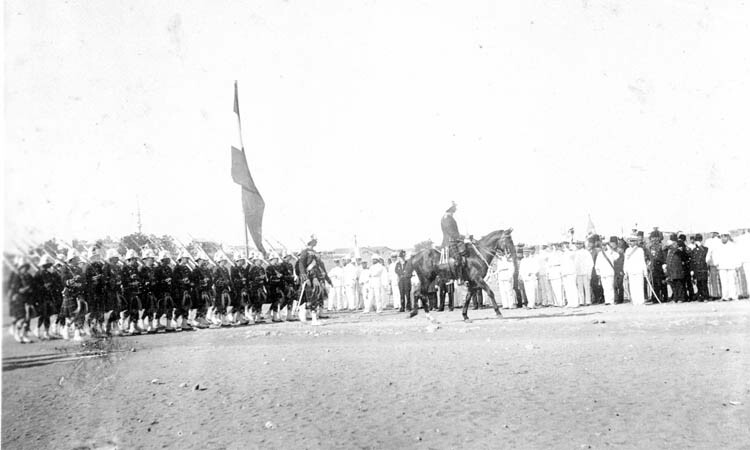 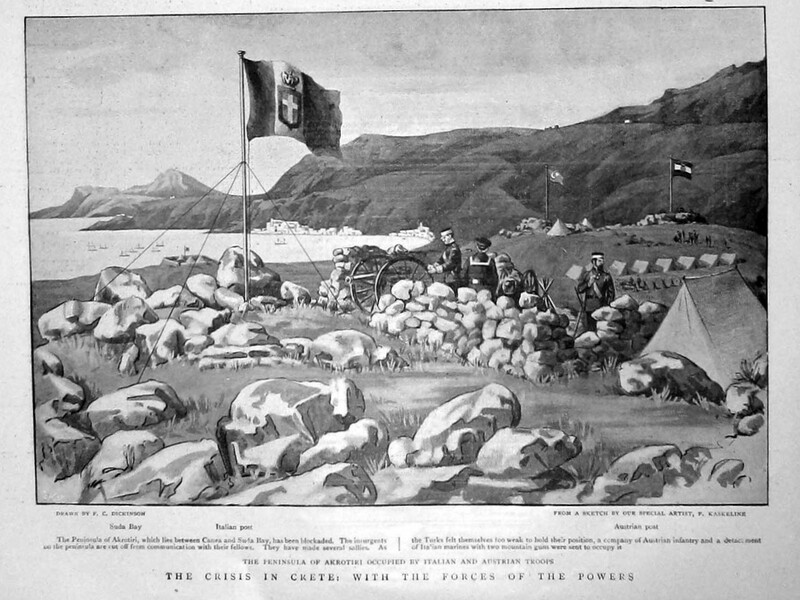 Departure of British troops from Candia. 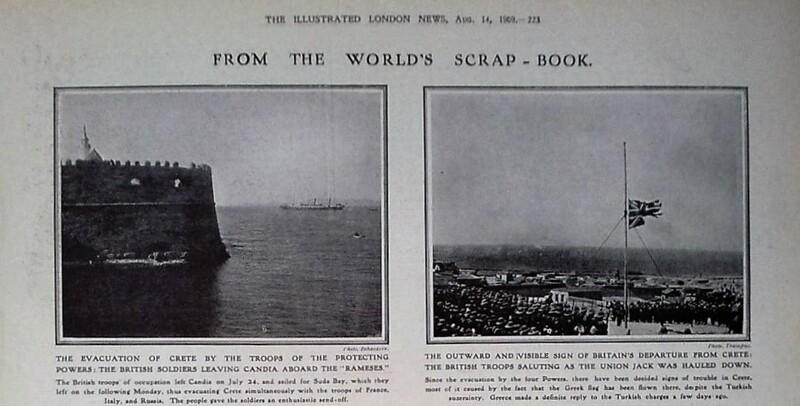 Illustrated London News, 14th August 1909.
International, mostly Italian, troops departing from Canea. 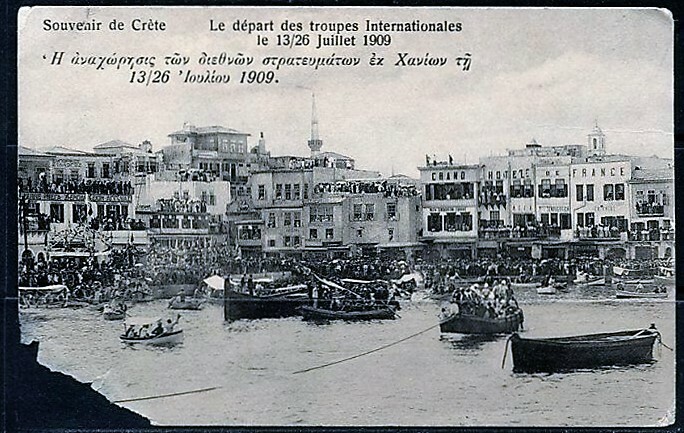 26 July 1909. 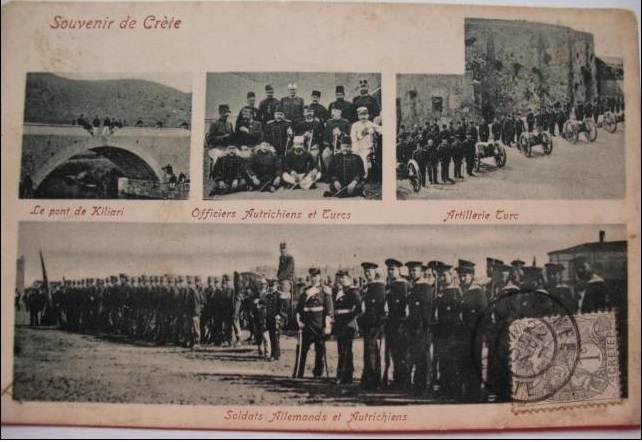 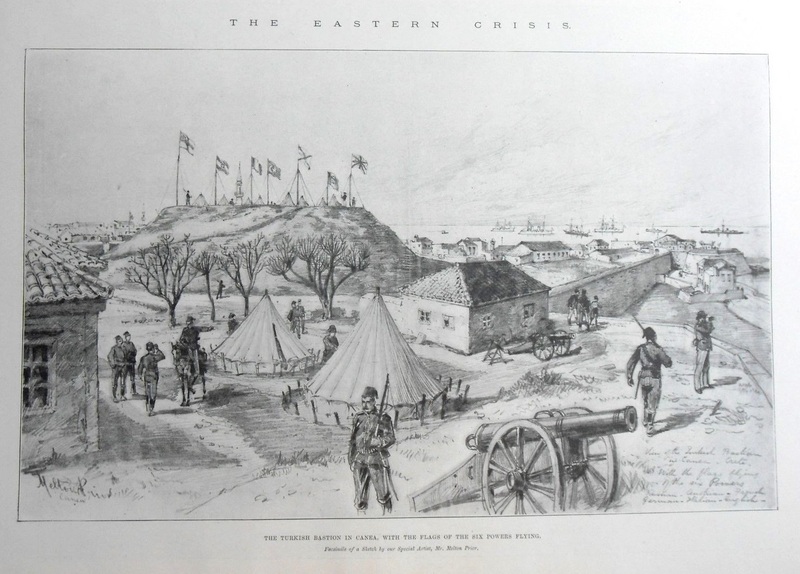 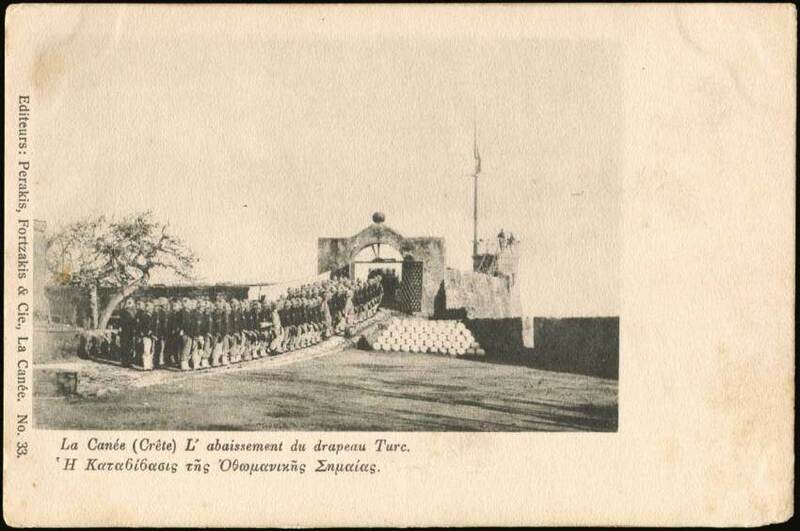 This entry was posted in British Army in Crete, European Intervention Crete, Uncategorized and tagged 2/Devonshires, Crete 1909, European Intervention Crete, European withdrawal from Crete 1909, International troops on August 9, 2016 by Mick McT.